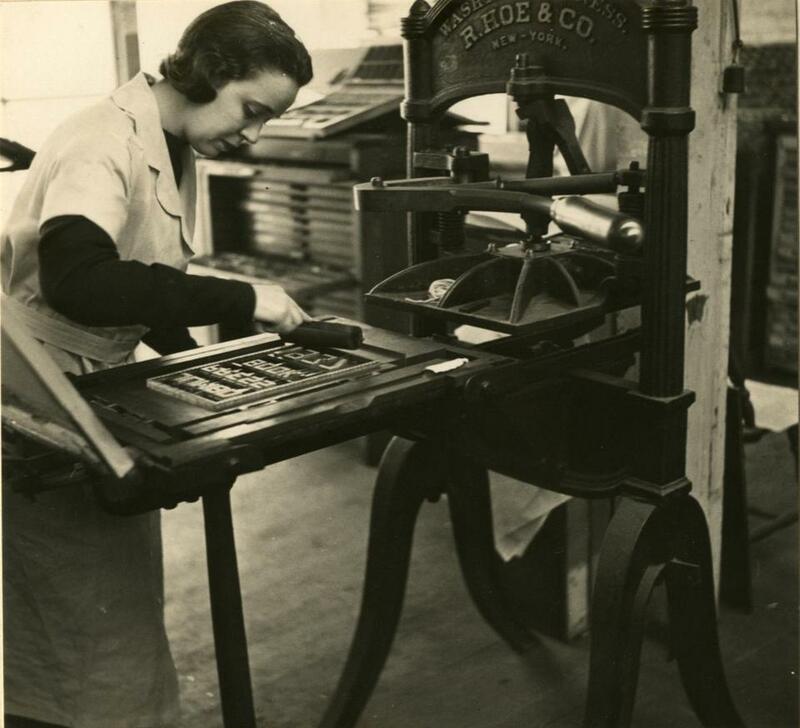 “Jane Grabhorn at the hand press,” a circa 1945 photo by Marjory B. Farquhar. Mills College professor Kathleen Walkup will present an illustrated talk about women and printing on March 30 at the Cape Ann Museum. GLOUCESTER Kathleen Walkup, who directs the Book Art Program and teaches letterpress and artists’ bookmaking at Mills College in Oakland, Calif., will present an illustrated talk about women and printing on Saturday, March 30, at 2 p.m., at the Cape Ann Museum, 27 Pleasant St. The program, offered in conjunction with the exhibition “The Little House: Her Story” and in honor of National Women’s History Month, is free for museum members and $10 for nonmembers. Reservations are required at camuseum.eventbrite.com. For more information, call 978-283-0455, ext. 10, or visit capeannmuseum.org. READING What do two singing pastors, a New England Conservatory graduate, two Berklee College of Music students, a pianist, an organist, and four choirs have in common? They will join to perform the fourth annual Tribute Concert and Hymn Sing on Sunday, March 31, at 4 p.m., at Old South United Methodist Church, 6 Salem St. The concert is free, but donations will support local and global missions. For more information, visit oldsouthumc.org/tributeconcert. ROCKPORT The Borodin Quartet has earned critical acclaim worldwide for its interpretation of Russian music. On Friday, March 29, at 8 p.m., the group performs a program of works by Borodin, Shostakovich, and Miaskovsky at Shalin Liu Performance Center, 37 Main St. Elizabeth Seitz will lead a preconcert talk at 7 p.m. For tickets, which cost $49 to $69, call 978-546-7391 or visit rockportmusic.org. TOPSFIELD A staged reading of “Wilber’s War: An American Family’s Journey Through World War II,” takes place on Friday, March 29, at 7:30 p.m., at Peirce Farm at Witch Hill, 116 Boston St. (Route 1). Written by Salem resident Hale Bradt, it is an epic tale of duty, heroism, love, infidelity, and the tragedy of suicide. Tickets cost $10 in advance or $15 at the door of the event, which is handicapped-accessible. Veterans are admitted free with prior reservations. For more information, call 978-390-2425 , e-mail producrs@punctuate4.org, or visit punctuate4.org. 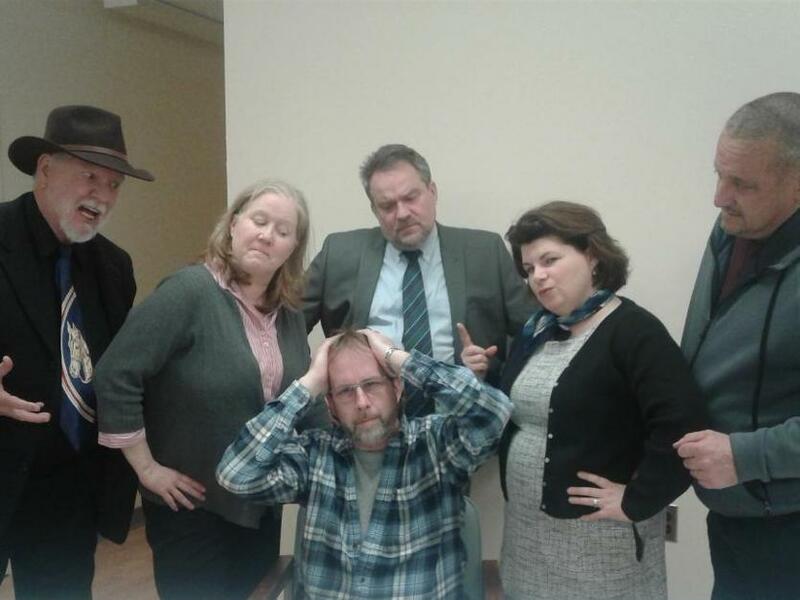 Cast remembers rehearse for Theatre One Productions’ comic mystery, “The Psychic,” to be performed at the Alley Theatre in Middleborough. MIDDLEBOROUGH Theatre One Productions presents “The Psychic,” an offbeat murder mystery and romantic comedy. The show continues at the Alley Theatre on 133 Centre St. on Sunday, March 24, at 2 p.m., with performances also on Friday and Saturday, March 29 and 30, at 7:30 p.m., and on Sunday, March 31, at 2 p.m. Tickets are $20; $18 for seniors and students. Cash only. For more information call the theater at 774-213-5193. PLYMOUTH Plymouth Public Library hosts “Visual Inverse,” a program that combines an art show titled “Celebrating Ireland” and a reading of poems written in response to individual art works in the show. “Visual Inverse” is an oral tradition with roots dating back to Ancient Greece. A reception takes place in the library, 132 South St., on Sunday, March 24, at 2:30 p.m., and the reading (accompanied by a slide show) begins at 3:30 p.m. It’s free. Visit plymouthpubliclibrary.org. DUXBURY Spring comes early to the Art Complex Museum, when Duxbury Community Garden Club members interpret the artworks exhibited in the Duxbury Art Association Winter Juried Show with floral designs in a collaboration called “Blooms at the Complex.” The show begins on Thursday, March 28, and runs through Sunday, March 31, from 1 to 4 p.m. each day at the museum, 189 Alden St. Admission is free. For more information visit artcomplex.org. HINGHAM The Candlelight Concert series presents “Mostly Gershwin,” a program by critically praised vocalist Dominique Eade and jazz pianist Elan Mehler. The season-concluding concert takes place at the historic Old Ship Meeting House, 90 Main St., on Sunday, March 31, at 4 p.m. Admission is free, but donations are gladly accepted. For more information, visit oldshipchurch.org. 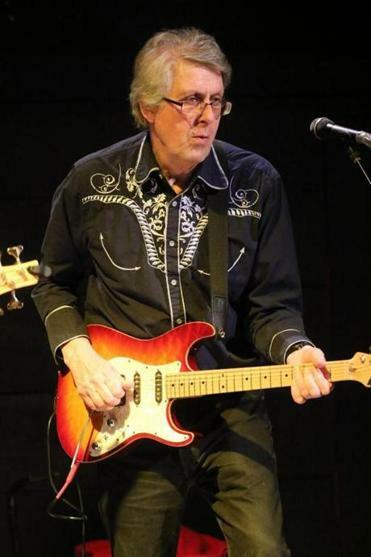 Conrad Warre will perform with his band, Bees Deluxe, at the Bluescopalypse in Arlington. ARLINGTON Four distinct blues bands make up “The Bluesapocalypse,” appearing at the Regent Theatre, 7 Medford St., on Sunday, March 31, at 2 p.m. On stage will be The Lights Out Blues Band, a four-piece ensemble inspired by the Chess Record greats of the ’50s and ’60s; Gospel/soul singer Louise Grasmere; the acid blues of Bees Deluxe; and Cleveland-based guitarist Sam Hooper. Tickets are $20 if purchased in advance; $25 at the door. For tickets, go to acarts.org. Proceeds benefit the Arlington Center for the Arts. LEXINGTON Lexington Symphony presents “Fresh Perceptions” on Saturday, March 30, at 7:30 p.m. at Cary Memorial Hall, 1605 Massachusetts Ave. In addition to Mendelssohn’s Violin Concerto, featuring soloist Hana Chang, the program includes Sergei Prokofiev’s “The Prodigal Son,” originally commissioned for Ballets Russes, and César Franck’s Symphony in D Minor. Music Director Jonathan McPhee leads a pre-concert talk at 6:30 p.m. Tickets are $33 to $55 and can be purchased at lexingtonsymphony.org or by calling 781-523-9009. ACTON Open Door Theater, a youth-oriented drama program based in Acton, brings “The Little Mermaid” to R.J. Grey Junior High, 16 Charter Road, for seven performances running March 29 through April 7. The cast features more than 100 area residents from communities including Sudbury, Concord, Lexington, Berlin, and Acton. In keeping with Open Door Theater’s focus on inclusivity, specially designated performances will include sensory-friendly considerations, open captioning, ASL interpretation, and live audio description. Tickets are $15. For tickets, a complete performance schedule, and show details, call 978-264-8150, or go to opendoortheater.org. DEVENS As a fund-raiser for next spring’s performance tour of Spain, the Groton-Dunstable Chamber Choir will hold a gala on Saturday, March 30, from 6 to 10 p.m. at Devens Common Center, 31 Andrews Parkway, Devens. The event will feature music and dancing to two local bands, performances by the Groton-Dunstable Chamber Choir and Jazz Band, a silent auction, food, and a cash bar. Tickets are $25 and can be purchased at gdchamberchorus.org or by calling 978-905-1201.